I think that feedback is one of those constructs in education that seems both ‘common sensical’ yet elusive at the same time. It is absolutely essential to learning, (and we all know this to be true), but for me, the feedback always seemed to something I had to ‘complete’ or ‘achieve’ with the students at the end of a unit or assignment etc. – thus something I could never quite get on top of – something I couldn’t micro-manage AND be effective all at once. As I reflected and carefully observed my students, I realised that somehow, in the whole mix, for me, feedback had become synonymous with assessment. It was only valuable if my written comments were administered beside a grade or a rubric. I couldn’t possibly be the only one struggling with this, could I? 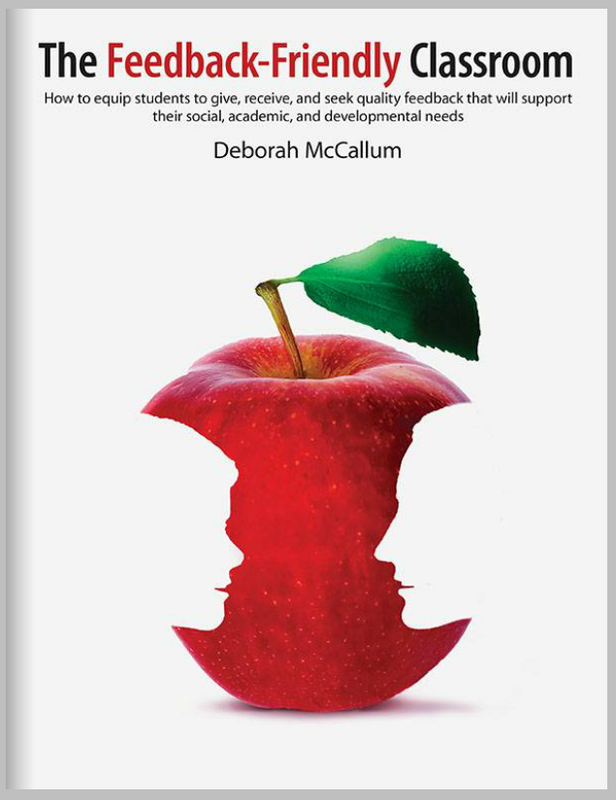 I had so many questions regarding pedagogy and feedback, and as I delved deeper into them, I found myself emerging with a new personal pedagogy that was based in the idea that for feedback to work, it had to be friendly, and had to involve everyone in the classroom and school in more meaningful and purposeful ways. My students were not benefitting from the feedback that I provided on finished assignments. Who looks at feedback after something has been graded anyway? Students were very much involved with ongoing feedback all the time, and to say the least, much of it caused a lot of upset among classmates vs being helpful or demonstrating good character all the time. We used circles to brainstorm success criteria, learning verbs, sentence starters, next steps and more. Soon, the anchor charts that were created, became the basis of Feedback Cards that we would later use to practice applying feedback strategies in smaller groups. As I said, this was just how we began. If you are interested in learning more about Feedback Cards, I will be sharing more information very soon on this website. In my book, there are feedback templates that can be printed, filled in with your own words and laminated. Feedback Card sets are also available on my website for printing, cutting and laminating. This is important for helping students to better understand the act of feedback. For instance, helping students to understand what they are to do, what they did, what the teacher will do, and how everyone will work together to produce an action for moving forward. Again, if you want to learn more about Feedback Cards and Dice, I can delve more into this process of using Feedback Cards and Feedback Dice in the classroom. My hope is that others may also find value in these strategies for facilitating feedback in the classroom. I believe that we are coming a long way in our quest to position our strategies in such a way that values processes feedback over final grades. However, while we continue to honour final grades and final report cards, I still believe, and will continue to cultivate, a feedback-friendly classroom.